One of the great things about the iPad is that it can do so much; it is a great device for working, playing and listening to music of course. We have to remember that a big part of Apple's success lies in music (with the iPod) and this makes the iPad a fantastic device for listening to music on. However, there are many other ways to listen to music on the iPad than just through the built-in iPod as there are a range of third party apps that allow you to do so. Here are a few of the best. #1 - Spotify Spotify is definitely one of the best apps out there for music-lovers as it allows you to listen to hundreds of thousands of songs on your iPad without having to own any of them. 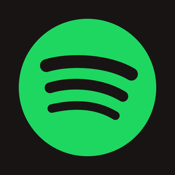 Spotify is a completely free app to download from the iTunes app store, but in order to use it, you will need a premium Spotiify account (available for £9.99 per month). However, you can get a free trial at the moment so it is worth a shot. There are millions of tracks on Spotify that you can have access to instantly when you have a premium account. Spotify will allow you to share the music with your friends as well as create playlists included in your subscription. You can even listen offline with Spotify which is great if you are without a 3G or Wi-Fi connection. Spotify really is the future of music on the move and it can be downloaded free of charge here. #2 - Last.fm Most of you music lovers will probably have already heard of this app but if you haven't, then rest assured that it is one of the best apps for listening to music available for the iPad. The concept behind Last.fm is simple; it recommends songs that it thinks you will like based on what you already listen to. This essentially creates your own radio statioon. Last.fm is available for the iPhone, iPad and desktop computer and will eventually stream songs that it thinks are good for you based on whether you like certain other songs in your music library or not. The app is free and is available from the iTunes app store. 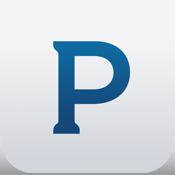 #3 - Pandora Radio Pandora is extremely similar to the Last.fm app as it basically creates a radio station based on an artist, song title or genre that you enter into it. The app works by allowing you to choose whether you liked its recommendations or not. When you thumb up or thumb down a track, you will give the app an insight into whether or not you liked the song and what other songs you might like. Pandora becomes smarter as you do this and soon, you will be discovering new music quickly, easily and without effort. You can get the app free of charge here.